Winnebago® continues to lead the Class C market thanks to a commitment to quality construction and innovative features. The Aspect® embodies this mantra with standard amenities such as swivel cab seats that become part of the lounge and a large exterior storage trunk with a recessed compartment where you can keep drinks on ice. Upscale amenities include: Corian countertops and backsplash, MCD solar and blackout roller shades, and an Infotainment Center with Rand McNally RV GPS. Available upgrades include dual-pane Contour™ frameless windows that are unrivaled for their quality in the Class C market. 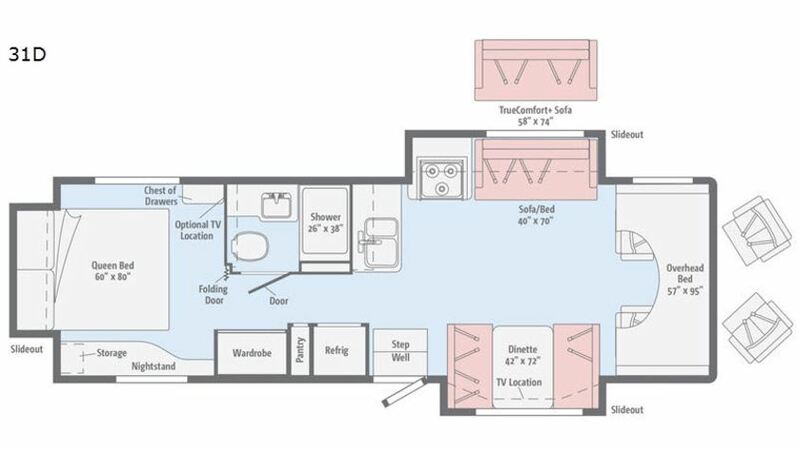 Choose from two floorplans, both with walkaround queen beds and robust entertainment centers, that provide all the residential comfort you crave when you’re on the road. Lead the way in comfort and class in a Winnebago Aspect. The double slideout Winnebago Aspect 27K offers the additional luxury of a large rear storage trunk with multiple access points to let you carry more of what is important to you, all while still including a walkaround queen bed in the bedroom. The triple slideout Winnebago Aspect 30J offer the additional luxury of a large rear storage trunk with multiple access points to let you carry more of what is important to you, all while still including a walkaround queen bed in the bedroom. 4. Corian galley countertops with sink and range covers. 6. Infotainment Center with Rand McNally RV GPS, including touch screen color monitor, Rand McNally RV GPS safe & easy routing, amenities and tools, trips & content, turn-by-turn voice guidance, CD DVD player, SiriusXM, compass, outside temperature, iPod and iPhone audio integration, Bluetooth, and so much more. To find out more about the Winnebago Aspect call a Lichtsinn RV Sales Consultant Today! This Winnebago Minnie Winnie is the Most Nimble RV offered with a Slideout that Sleeps 6! Includes an Oversized U Lounge! To view over 120 photos plus a detailed video of the 2018 Winnebago Minnie Winnie 22M CLICK HERE. For our entire stock of new Winnebago Minnie Winnies CLICK HERE. There is no better way to jump into or continue your RV lifestyle than in a Winnebago Minnie Winnie. 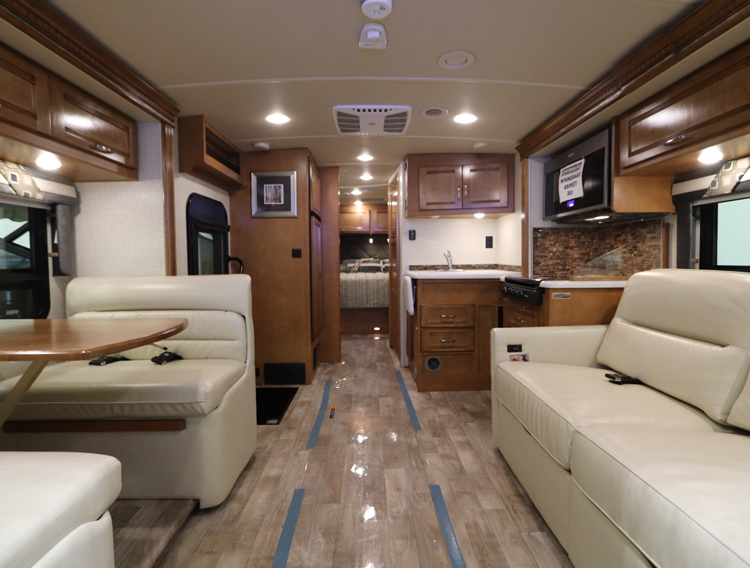 Not only is it built to Winnebago’s legendary construction standards that feature SuperStructure construction unlike any other RV manufacturer, it includes standard features such LED lighting, USB charging ports, and a large rear trunk. 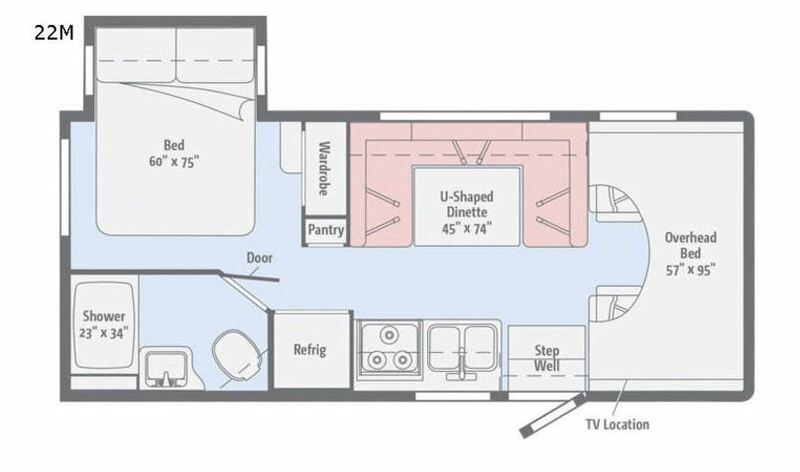 Then, make it your own with this nimble, on the go 22M that is our smallest RV to include a slideout, along with a spacious U lounge for the perfect gaming area, dining area, or computer workstation. Plus, sleeping for 6 with 3 dedicated sleeping areas! Call Lichtsinn RV today to find out more about the New 2018 Winnebago Minnie Winnie 22M. This Winnebago Minnie Winnie features a High Line Triple Slideout with Opposing Living Slides and a Walkaround Queen Bed! To view over 130 photos plus a detailed video of the 2018 Winnebago Minnie Winnie 31D CLICK HERE. For our entire stock of new Winnebago Minnie Winnies CLICK HERE. There is no better way to jump into or continue your RV lifestyle than in a Winnebago Minnie Winnie. 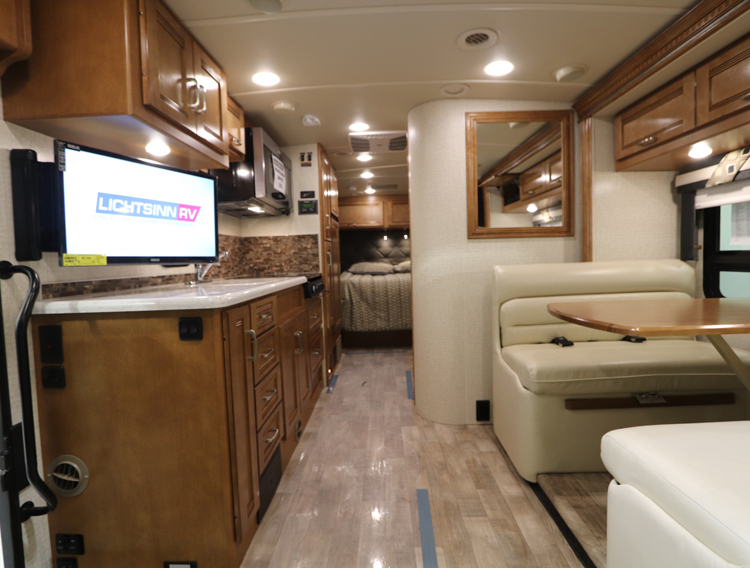 Not only is it built to Winnebago’s legendary construction standards that feature SuperStructure construction unlike any other RV manufacturer, it includes standard features such LED lighting, USB charging ports, and a large rear trunk. Then, make it your own with this triple slideout 31D that includes a walkaround rear queen bed! Call Lichtsinn RV today to find out more about the New 2018 Winnebago Minnie Winnie 31D.